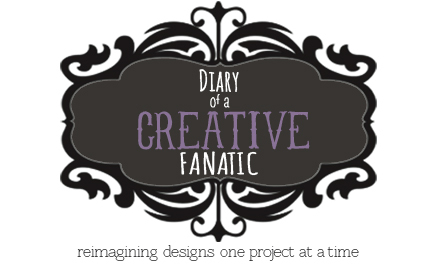 Plain t-shirts are useful, but t-shirts that are embellished or transformed somehow make me want to wear them. 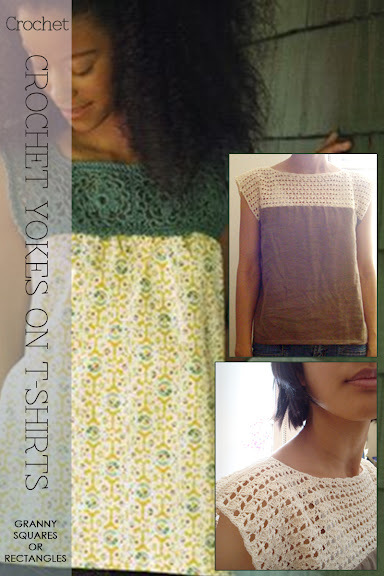 Crochet yokes can really enhance a boring t-shirt with colour and texture, on trend with yarn and fabric combinations. An alternative to a fixed yoke is the featured design above, a yoke collar you throw on top like a scarf, one of my favourite accessories. A good stash buster, yoke designs use small amounts of yarn, are small projects, and therefore quick to finish. A stylish way to freshen up your wardrobe. 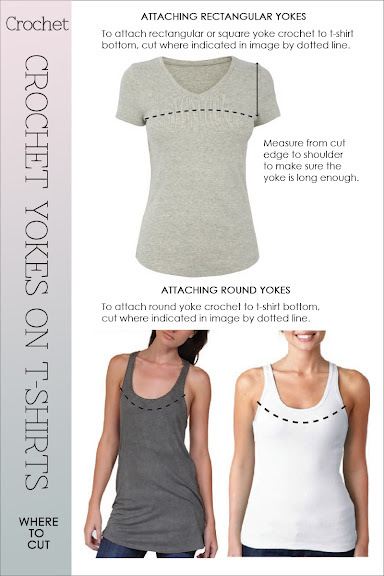 Read further for more design inspiration, instructions and freepatterns for crochet round yokes. 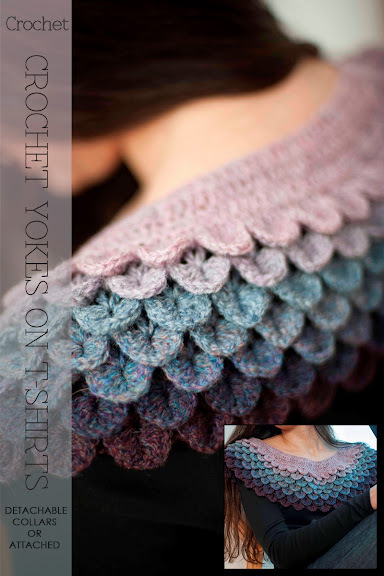 One of the simplest designs for a crochet yoke is the rectangular shape. Remember to measure twice and cut once. Measure the width of your garment, mark where you will cut and from that point, measure to the top of the shoulder. This will be the measurement for the two rectangles you make, one for the front and one for the back. Granny squares are another way to make a rectangle by sewing them together forming a smaller rectangle that may need straps. Both of these free patterns either have a knit or crochet bottom. Not to worry, as the yoke can be worked separately and then sewn onto the bottom you prefer. One of the yokes is buttoned, but the fronts can be sewn together or worke in the round. I have been looking for this forever! Thank you so much for posting. Adding crochet to a T takes it to a whole new level. I am so excited to try this.